The new Euroclay surface for tennis courts is, according to 4 X Wimbledon Doubles Champion Peter Fleming, "The Real Deal". Euroclay tennis courts are HERE! The first of its kind in all of Iberia, was recenlty installed in Jim Stewart's Tennis Academy. It is the top of the range court option for private homes, resorts & hotels as well as for clubs. Euroclay looks, plays and feels exactly the same as a traditional clay court but it has numerous advantages. The Euroclay surface requires no water usage and minimal maintenance. It is also environmentally friendly. In fact, we believe that once you have played on Euroclay, you will not want to play on anything else! Euroclay is fully approved by both the I.T.F. and L.T.A. and contrary to artificial grass surfaces, it can be used for tournaments â€“ i.e. recognised as a real tennis court. ......AND....it is an all-weather court! 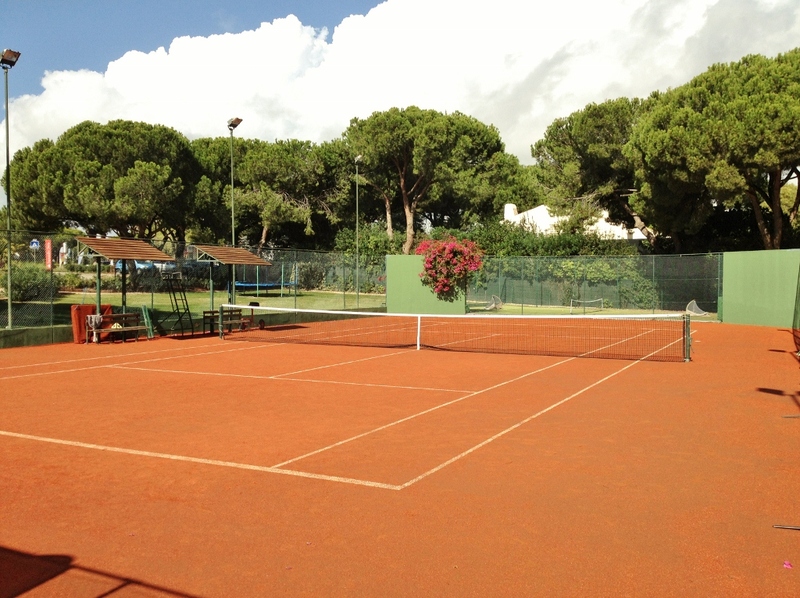 Find out more about Euroclay tennis courts here.